Birthday Fun at Magic Wings! 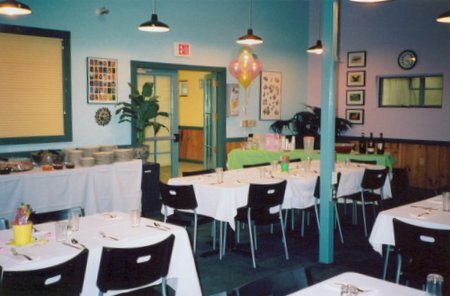 Please contact us at (413) 665-2805 to schedule a birthday party. 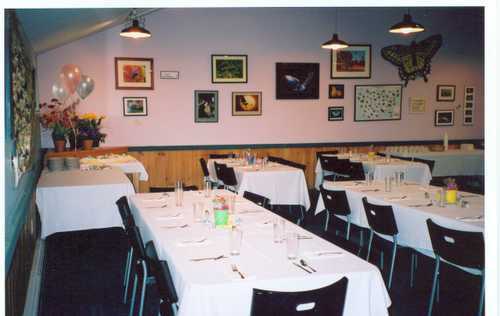 Our birthday parties are held in the Art Gallery Cafe. We have tables and chairs to accommodate up to 65 people. The room will be set up in whatever arrangement works best for your individual party. 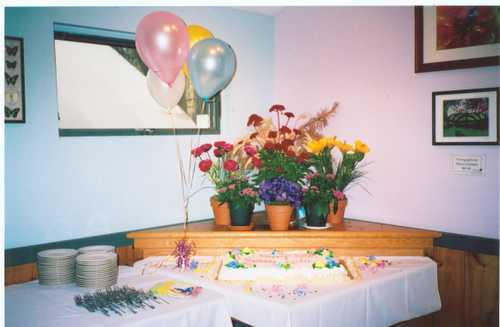 Bring your own decorations to make the room special for that birthday party person. WE DO NOT ALLOW OUTSIDE FOOD EXCEPT FOR BIRTHDAY CAKES. *Includes rental of Art Gallery Cafe for one and a half hours, food for up to 15 people, a guided tour of the conservatory for up to 15 people, and "Birthday Butterflies" for your child to release into the conservatory. includes your setup and cleanup time. Additional rental time is available (see below). Advance booking (no later than 7 days before the party) and a $75.00 deposit are required. The $75.00 is applied toward the total cost and the remaining balance may be paid on or before the day of the party. *** 7% MA meals tax added to package price. Choose one of the following party menus. All menus are included in the Birthday Party Package rate. Guests in addition to the 15 people included in the Birthday Party Package. Each person must pay, including adults. *** Plus 7% MA meals tax. Assorted butterfly themed items from our gift shop. to share your birthday with the butterflies. Your conservatory tour lasts approximately one hour.